New Ulm has a new boutique: Bailey Creek Boutique! The Willkommen Committee recently celebrated the ribbon cutting of the new business and new Chamber member. Owner Sandy Reinke was born and raised in New Ulm. She worked in IT management in Mankato for years but was ready to break free from the corporate world and own her own business. Sandy loved shopping in boutiques but often had trouble finding clothes in her size. That’s what inspired her to open Bailey Creek Boutique. 50% of her inventory is regular sizes and 50% is plus sizes, so that everyone can be included in the boutique shopping experience and offer more choices for non-average sizes. Bailey Creek also sells a variety of gift items including wall hangings, coffee, and accessories, along with adorable baby clothes! Bailey Creek Boutique will be celebrating their Grand Opening this Saturday, July 8th from 10-4. Be sure to join their text club! Text BAILEYGO to 51660 to be entered to win 1 of 8 great prizes! Stop in that day to sample some Fireside Coffee products, and look through the great custom graphic printed shirts, signs and custom baby items. They will also be featuring newly arrived clothing! Bailey Creek is located at 103 N Minnesota. They are open on Mondays from 12-6, Tuesdays, Wednesdays, and Fridays from 10-6, Thursdays from 10-8, and Saturdays from 10-4, closed on Sundays. Sandy loves working face-to-face with customers, so stop in and say hi! Welcome Bailey Creek Boutique! 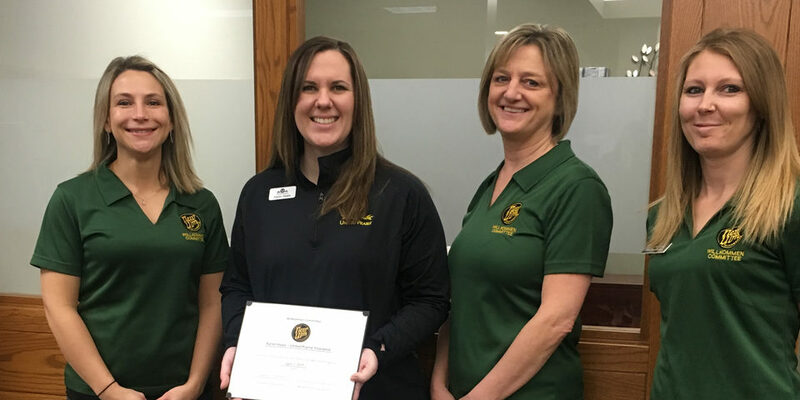 In the photo above are: Amy Pearson, Thrivent Financial; Sandy Reinke, Bailey Creek Boutique; Audra Shaneman, President & CEO, New Ulm Area Chamber of Commerce; and Lynn Fink, Citizens Bank. 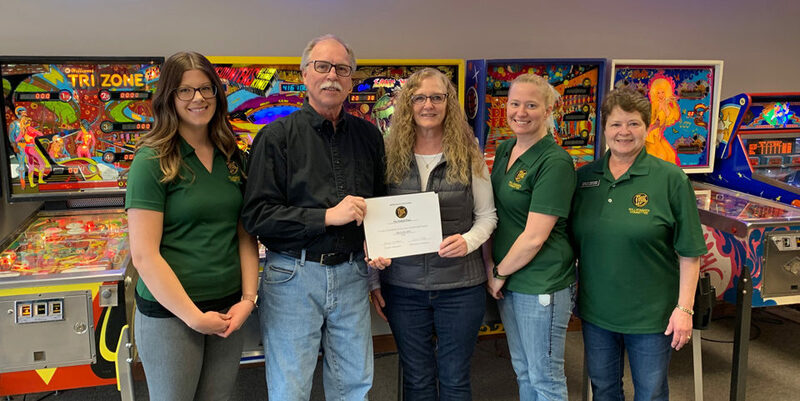 Pictured below is Mayor Bob Beussman and the Willkommen Committee celebrating the ribbon cutting with Bailey Creek Boutique owner Sandy Reinke.